At this point, we believe the market is in a good position to follow-through on this hypothesis. The two important conditions for determining the direction of the stock market are the state of the economy and the Federal Reserve’s pace of interest rate increases. Both appear to be in a favorable zone. The recent nonfarm payrolls and GDP revision continue to suggest an economy that is growing slowly, but not slowing-down to raise the risk of a recession. 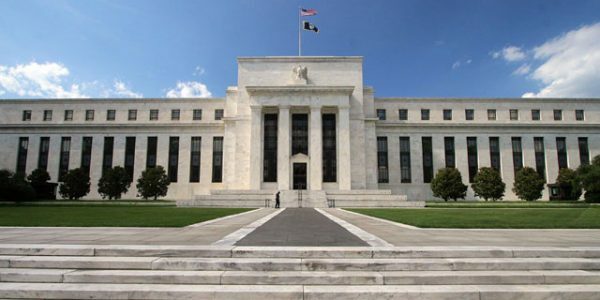 At the same time, the Federal Reserve (FED) continues to embrace a very deliberate and benign pace of interest rate increases, guided chiefly by the US economic data, and thereafter by global macro concerns which include the state of the Eurozone and the Chinese economy. The data doesn't proffer a compelling need for a rate hike, till there is sufficient assurance that the economy will not be squeezed by a further increase. The Fed walks a fine line, balancing its desire to restore "normalcy" to the yield curve, while at the same time avoiding a self-inflicted slowdown of the economy. The Federal Reserve in its "dot plot," a graphing of expectations of the 9 voting members of the FOMC, had plotted a median interest rate target which implied the number of interest rate increases during 2016 to be 4 hikes. The next opportunity to update this plot will be at the meeting on March 15 and 16. The median plot number is widely expected to go down to 3 hikes. The market is not factoring a rate increase at this meeting. As we noted in our commentaries last year, we strongly believe the next rate increase would be a conversation for June 2016 or later, and most likely a pace of half-yearly increases during 2016. The Fed is well aware of a limping Eurozone economy, the negative interest rate policy being pursued by the European Central Bank (ECB) and the Bank of Japan (BOJ), and the slowing and unsettled Chinese economy, to be pushing for an interest rate hike during the first-half of 2016. Once the market begins to accept a very deliberate and gradually rising interest rate curve, starting with the declining number of rate hikes predicted by the "dot plot," we can see a more durable rally into the Summer. The tenor of the market has improved, although a firm trend is not yet established. What has been interesting to note is that the speculative segment of the market, the small caps, as represented by the Russell 2000 (NYSEARCA:IWM) has kept pace with the Nasdaq (NASDAQ:QQQ) so far this year. Both the indexes are down 9% for the first two months. To stay abreast of Nasdaq, is quite an achievement for the small caps, which have been in a decline since the Summer of 2015. The Russell 2000 small cap index declined 27% from its 52-week peak, compared to Nasdaq's 19% and S&P 500's (NYSEARCA:SPY) 15% declines. Biotechnology, also a speculative sector of the market, appears to have bottomed, as we discussed in a recent article, and continues to consolidate. However, it has not yet shown any upside momentum after a 40% decline in the IBB index (NASDAQ:IBB), and is also being affected by the political undercurrents, the FDA's moves towards managing high drug costs, and the Valeant (VRX) saga. As the Fed's rate expectations remain mild and become clearer, it can provide a shot-in-the-arm for the sector as discount rates in the valuation models hold steady. Rising rates typically unsettle a market, and what we have witnessed over the past three months has been a period of adjustment following a first rate increase in 9 years. Rising rates in-of-itself don't terminate bull markets. It's the shadow of a recession that sprouts a cyclically-driven bear market. We believe a low and stable interest rate environment, a moderately growing economy, and rising payroll/consumer spending will deliver single digit positive returns for both large cap and small cap indexes. The near-term trend will now be determined by the FED commentary, post the meeting, on March 16. The FED can provide the bullish side of the stock market with a favorable release by not introducing any surprises, keeping the rate increases predicated on incoming data flow, and reconfirming the gradual path of the curve. After a period of repair in the financial markets, it's now once again the FED's move! Lets see if it changes the view of the board or leaves it undisturbed.